Announcing the 2016 Jump START Your Nonprofit Finalist! 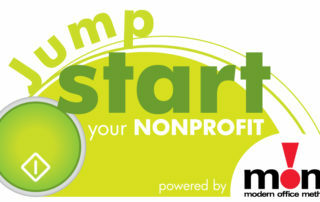 Jump START Your Nonprofit 2013 Contest Dates Announced! 2012 Jump START Your Nonprofit Winners! Keeping in the spirit of the current Olympic Games...here are our 2012 Jump START Winners: The Gold Medal and Grand Prize of $20,000 went to the Ronald McDonald House Charities of Central Ohio. The Silver and $10,000 First Runner-up was the Literacy Network of Greater Cincinnati. Finally, the Bronze and $5,000 Second Runner-up went to Hannah's Treasure Chest in Dayton! For more information about Jump START Your Nonprofit and Modern Office Methods, visit our website at www.momnet.com.